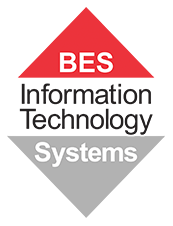 BES IT Systems is a Fortinet partner in Brisbane, Queensland. We can offer a full range of Fortinet's products and solutions. Digital transformation unlocks massive potential, but it also introduces advanced cybersecurity threats. Traditional security architectures are proving futile. Many organisations struggle to protect themselves because they lack the skills and resources to combat these threats. Fortinet delivers the most innovative, highest-performing network security fabric to secure and simplify your IT infrastructure. The Fortinet Security Fabric delivers broad protection and visibility to every network segment, device, and appliance, whether virtual, in the cloud, or on-premises. Automatically synchronize your security resources to enforce policies, coordinate automated responses to threats detected anywhere in your network, and easily manage all of your different security solutions and products through a single console. We can assist your business with all Fortinet solutions and products. Request a call back by leaving your details and our local Brisbane-based experts will return your call within 3 business hours.